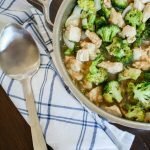 I’m teaming up with my friends at Sprouts Farmers Market this weekend to bring you this delicious recipe that can be made with frozen items found at Sprouts. This week Sprouts is having a Frozen Frenzy sale! Be sure to swing by your local Sprouts and check out the deals. 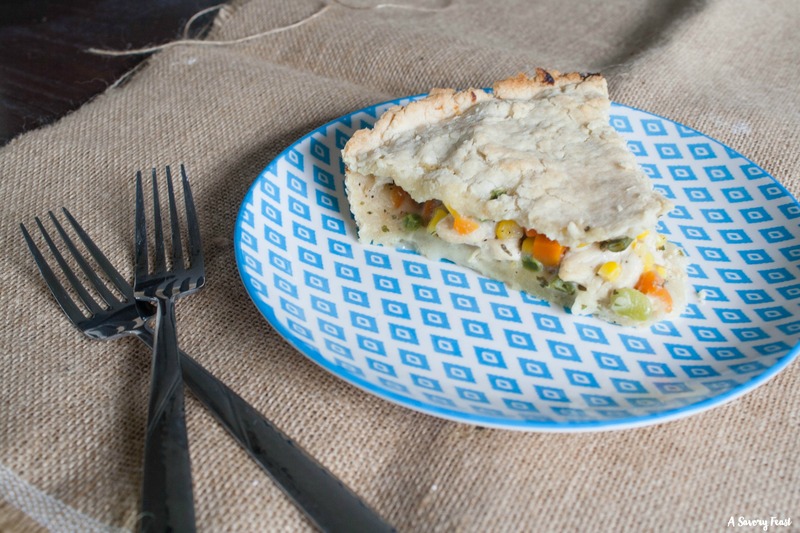 And don’t forget to grab the ingredients to make this pot pie! 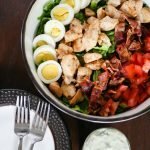 I have a few basic items I like to keep in the house that can be used to make a variety of meals. 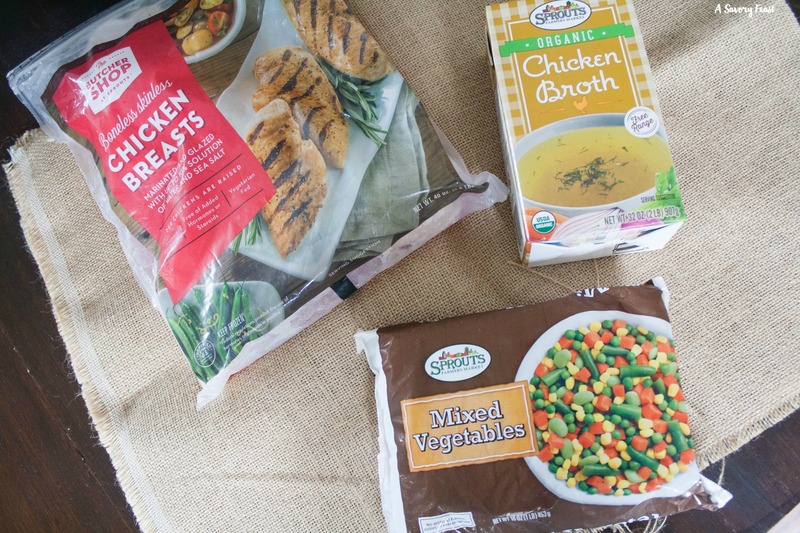 Frozen items like chicken breasts and mixed vegetables can be used in so many different ways. They also keep for a long time so you don’t have to worry about making sure you use it up right away. 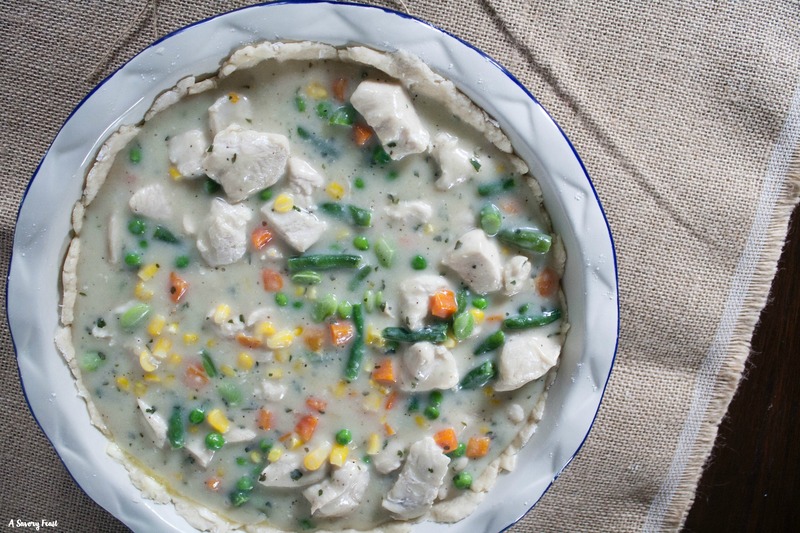 Now let’s talk about this Ranch Chicken Pot Pie! 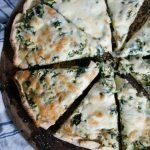 This is one of my favorite types of comfort foods, but with the addition of ranch. 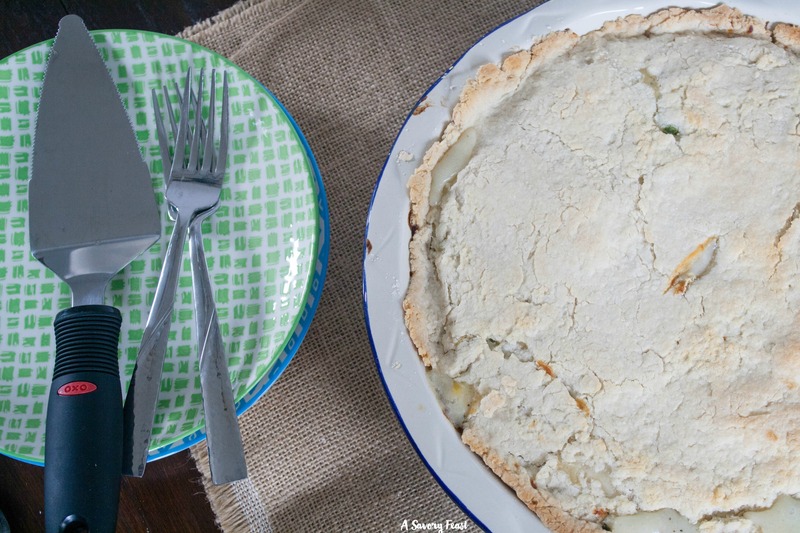 A simple ranch packet will give this pie an extra special flavor! 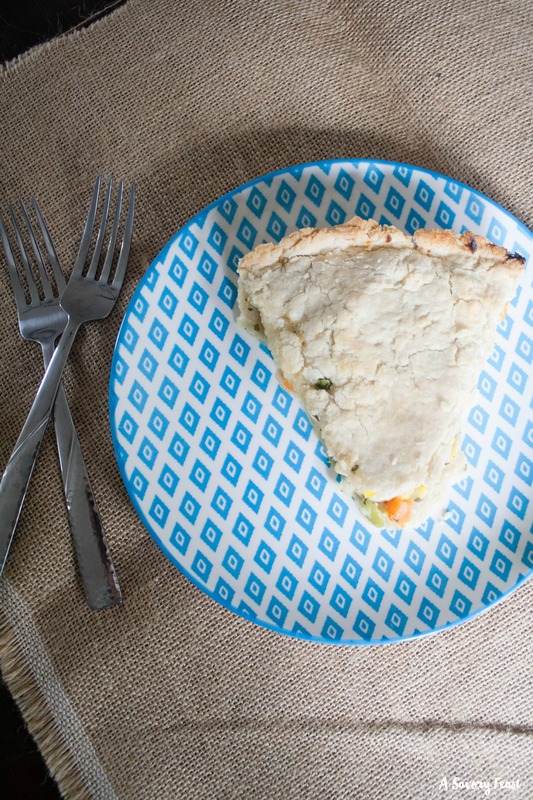 I mixed up a simple homemade pie crust to make this pot pie. If you want to save time, you can use a store bought one instead. 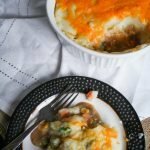 I love making pot pie because it’s great leftover for lunch the next day! I like to heat up a piece in the toaster oven so that the crust stays nice and crispy. Place the 2 cups of flour in a medium bowl. Slice the butter and use a pastry cutter to cut it into the flour. Add the salt and slowly add the water, mixing until a dough forms. Kneed a couple times and roll out into two circles for your top and bottom crust. 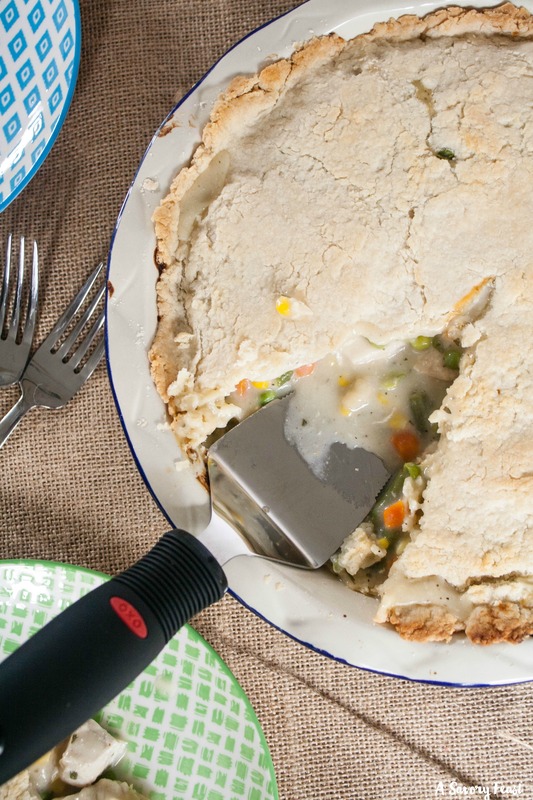 Place the bottom crust in a pie pan. In a small bowl, mix together the ranch packet and 2 tbsp of flour, set aside. Melt the 2 tbsp of butter in a large skillet over medium high heat. Add the chicken and brown on all sides, about 1-2 minutes per side. Stir in the frozen vegetables. Sprinkle the ranch mixture over the chicken and vegetables, stir to coat. Slowly add in the chicken broth and milk. Bring to a boil and stir until thickened. Lower the heat and cook for another 5 minutes or until the chicken is cooked thoroughly. 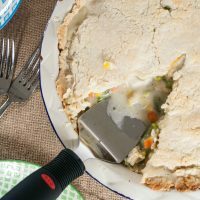 Pour the chicken mixture into bottom pie crust. Fit the top crust over the top and press the edges together. Use a knife to cut a slit in the crust before baking for 35-40 minutes or until crust is browned.